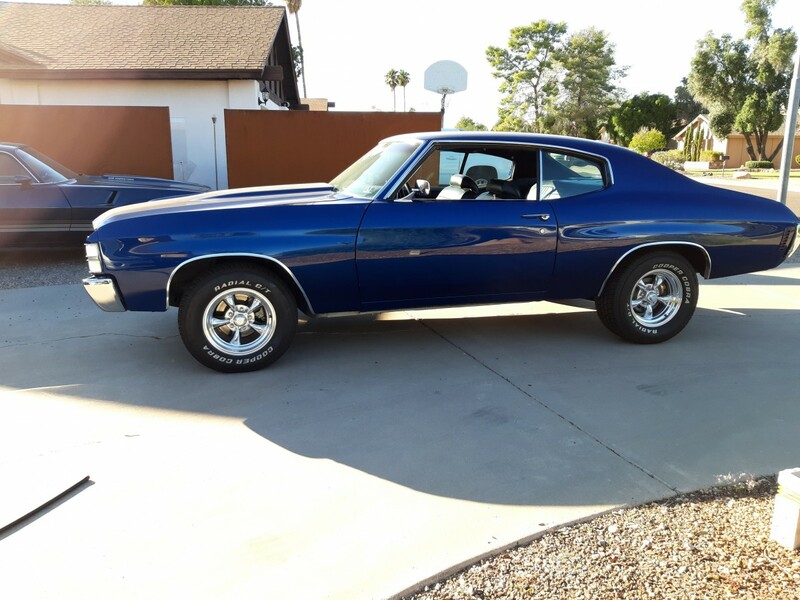 Although it can be a bit hard to determine from photos at times, this 1972 Chevelle Malibu looks like a fairly clean survivor that requires little work to transform it into a really nice car. 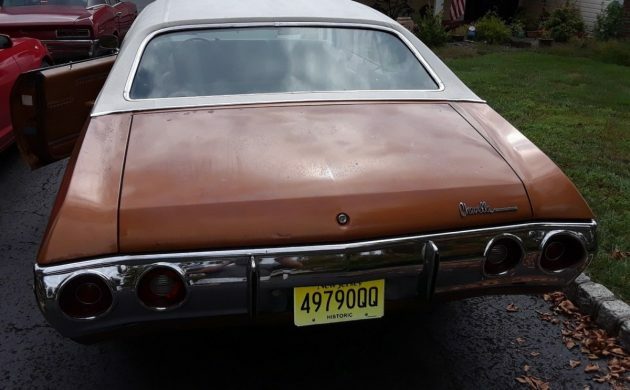 The car is located in Old Bridge, New Jersey, and is listed for sale here on eBay. It comes with a clear title, and it’s just waiting for someone to really make it shine. The car presents well, but it is not perfect. The exterior chrome and trim look really good, and the paint and vinyl top also generally look good. 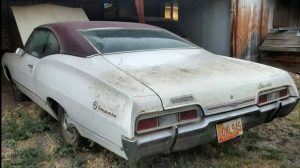 Some of the horizontal painted surfaces like the deck lid, tops of the quarter panels, and the hood, look like the paint is a bit baked, and is starting to “craze” and lift. It would be worth fixing these problems, as this is an attractive looking car, and it’s details like this that will make it stand out. I’m also a bit flummoxed by the trunk floor. There is certainly some decent surface corrosion present, but the loose debris floating around makes it hard to determine just how extensive it really is. Overall, the interior presents really nicely and looks to be original. 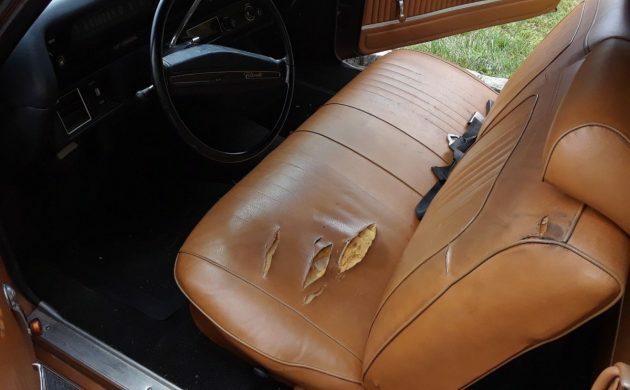 The front seat has some tears that will require a new cover, and the headliner has some seam separations that could be addressed without having to undertake a complete replacement. The carpet also looks a bit faded in the front over the transmission tunnel, but I think that it could be dyed to fix this. The owner does supply this YouTube video, and this shows the interior in some pretty decent detail. With a 350ci 4bbl V8 engine, automatic transmission, and a 12-bolt rear, the car would certainly perform quite well. I also noticed that it is fitted with air conditioning and power brakes. The owner has recently fitted a new carburetor and air cleaner, but the original air cleaner does come with the car. It also appears that the car has recently been fitted with new rear shock. There is an exhaust leak on one side of the car where the engine pipe mates with the exhaust manifold and the exhaust ends at the silencer, just in front of the rear axle. I would probably want to address those things. The owner supplies this YouTube video of the car running, and it sounds quite nice. I get the impression that these are going to be a car that will maintain their popularity for many years to come. That’s totally understandable, as they are an attractive car that provides good performance, and parts are readily available to keep them going virtually forever. 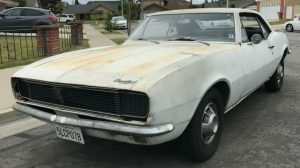 Bidding on this car has been reasonable, and the price has reached $5,400, but the reserve hasn’t been met. I have little doubt that the car will sell, but it will be interesting to see what the final price will be. A quick check of the sellers completed listings shows he recently had this car listed with a BIN price of $24,999. 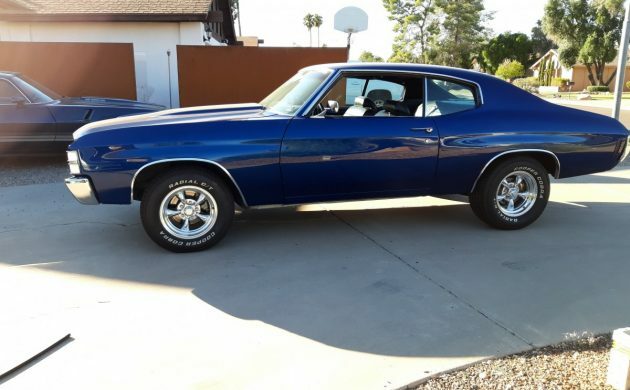 This is not a $25,000 car, maybe $10,000 on a good day, only if it checks out after a thorough in person inspection. 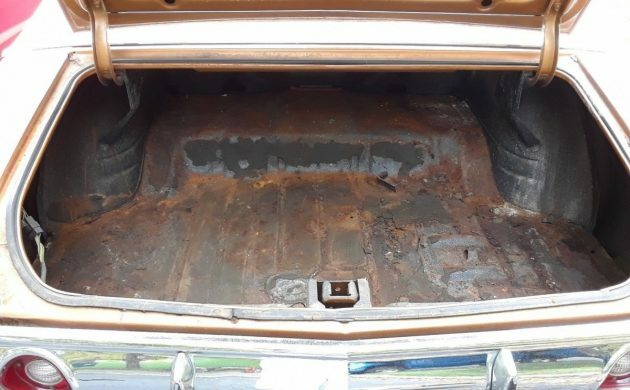 From the look of the trunk, I’d be surprised if there wasn’t a significant leak from the rear window, which would likely mean rust around the rear window channel. Good catch Steve. Overall, looks solid. Would like to see the frame though. Just one rear shock? Must be on a budget. Car looks nice but not $25k nice. 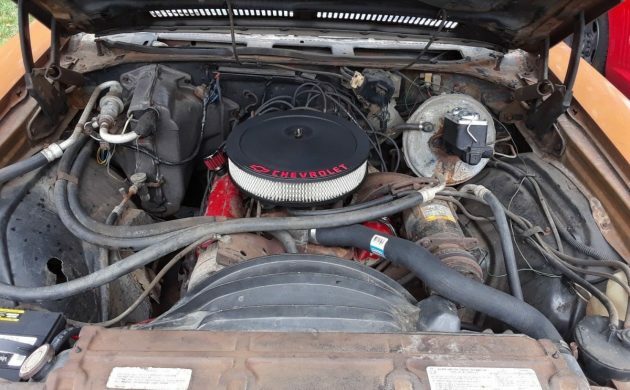 Looks like new master cylinder and at least upper radiator hose – looks like its an honest driver. It’s true. Documented by the car rags of the period. 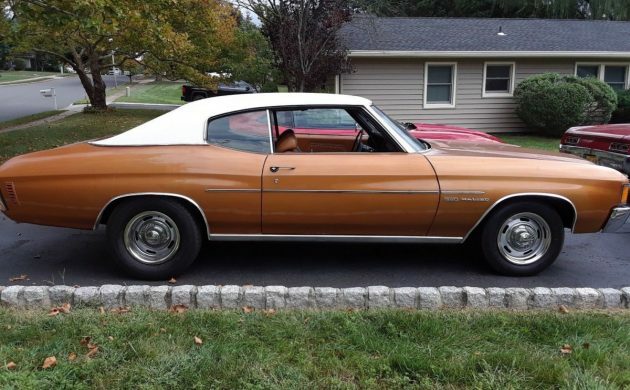 This is what my mother bought herself new in 72. She loved it at stoplights. Same 350/4 automatic, air. Same colors. Loved that car. What Steve said….still nice for the east coast.